St. George News. 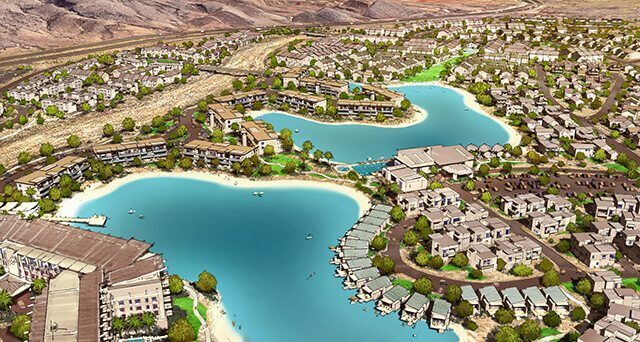 January 11, 2018 – ST. GEORGE, UTAH – Plans for a new master-planned community in St. George, which will comprise 10,000 new residences, were unveiled Thursday at the St. George Area Economic Development Summit. 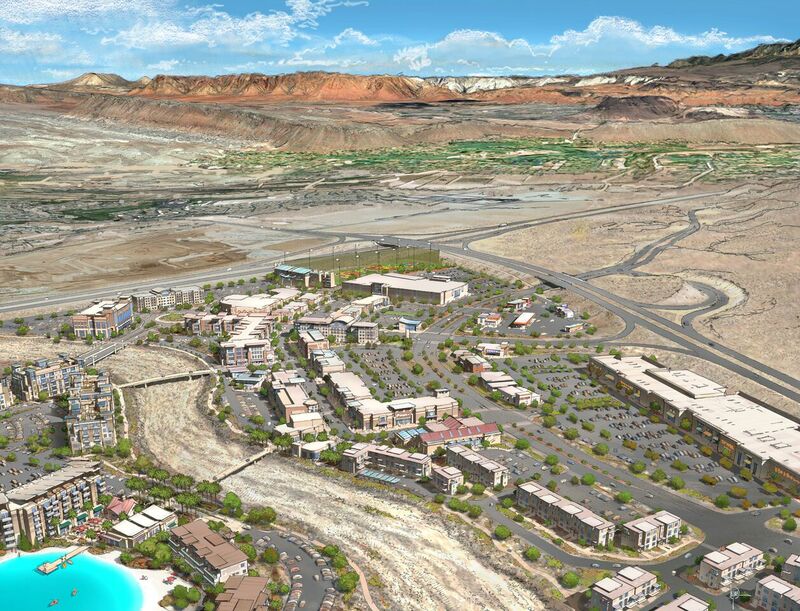 Desert Color will be among the largest ever master-planned developments in Utah, Weaver said, and will be divided into four main land-use districts: mixed-use commercial district, recreation, resort and residential.The new development will be a 3,350-acre community located on Utah School and Institutional Trust Lands Administration property – east of Interstate 15 along Southern Parkway. As part of the plan, Desert Color will feature nearly 210 acres of developed parks and trails circulated throughout the community. Trail systems, parks and nature preserves will provide opportunities for residents, visitors and activity seekers to feel a deeper connection to the community and the land. For the last 18 months, the Desert Color master development team – consisting of Clyde Companies, Blue Diamond Capital and Merrill Trust Group – has worked with SITLA, St. George City and Washington County to make Desert Color a reality. Property has already been purchased by some of the development’s initial tenants, Weaver said, including Paparazzi Accessories, which is building a new corporate headquarters and warehouse on a 13.5-acre lot. The Desert Color property is located within St. George city limits and is generally described and bound by the Sun River development to the west; the Arizona border to the south; the Fort Pierce Industrial Park to the north; and the Desert Canyon development to the east. The total developable acreage for the parcel is approximately 6,800 acres, making the parcel by far the largest development parcel in Washington County, according to the Trust Lands Administration.